If you wanted to sum up the demise of Nokia in one object, the Nokia Lumia 800 is probably it. Announced five years ago this month, the Lumia 800 represented a change in direction for the Finnish giant which ultimately ended in failure. A potted recap - faced with sliding sales (primarily against Android devices), incoming Nokia CEO Stephen Elop switched Nokia's smartphone platform to Windows, effectively killing off Symbian and the stalled MeeGo project. Just five years previously, the Nokia-led Symbian OS and Microsoft's Windows were the two dominant smartphone platforms, but Microsoft had suffered badly (mostly at the hands of Apple), with Nokia starting to see the same sort of decline in competition with Google. The fruits of the new Nokia/Microsoft partnership were announced in October 2011. The Nokia Lumia 800 had a lot going for it, the physical design was beautiful and the new Windows 7 operating system made everything else look very old fashioned. The price was extremely competitive too, and the whole launch was accompanied by a ton of media coverage because in tech terms this was a Very Big Thing. There were some drawbacks, and the main one was a lack of downloadable applications compared to the vast array available for iOS and Android. On the other hand, there was quite a rich feature set included in the maturing Windows 7.5 OS. The user interface took a bit of getting used to, being stripped down and very modern-looking, it was certainly very different from rivals and predecessors. Cortana, arguably the best feature with modern Windows phones, would not become available for three years. 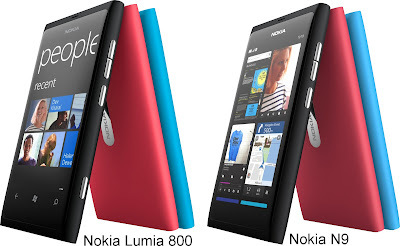 As for the hardware itself, the Lumia 800 had a first-rate 3.7" WVGA AMOLED screen, an 8 megapixel camera with Carl Zeiss optics, a 1.4GHz CPU with 512MB of RAM and 16GB of storage, plus all the usual smartphone features. The brightly-coloured plastic cases were also distinctive and had been lifted from the MeeGo-based N9. 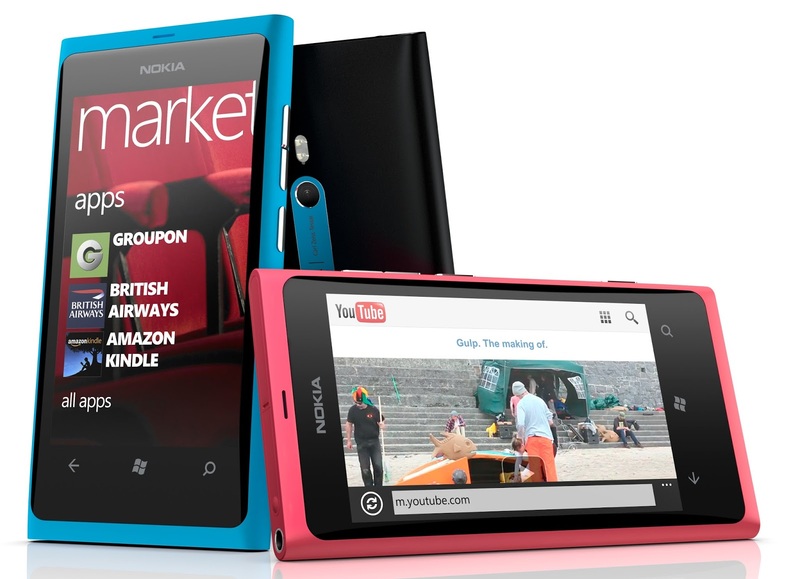 The Lumia 800 wasn't a sale success, nor was it a complete disaster. Nokia made several successors including the superlative Lumia 1020, but Nokia continued to fade, selling the whole phone business to Microsoft in 2014 but they couldn't turn it around either, essentially shuttering the operation in mid 2016. The final Lumia device was the 650, released in February 2016. It is perhaps one of the more intriguing "what ifs" of tech history to ask, "what if Nokia had gone for Android rather than Windows"? Elop's fear was that Nokia would just end up as a "me too" manufacturer if it went down the Android path, but if it could succeed with Windows then it would dominate a true alternative platform to Android and iOS. Elop chose the path with the highest risk and potential reward, but of course it failed. The alternative would have been a company probably playing second fiddle to Samsung, which would still not be like the Nokia of old. It is probably the case that Nokia was in a no-win situation back in 2011 and was largely doomed whichever way it moved. Although the Lumia 800 is an old device from a technological perspective, it doesn't FEEL like an old device. Unlocked Lumia 800s in good condition sell for around €50, with "new old" stock commanding prices of €200 or even more. However, just €120 will buy you a brand new Lumia 650 instead. Although the Lumia brand is effectively dead, Microsoft are rumoured to be looking at producing handsets branded with the more success "Surface" name instead.